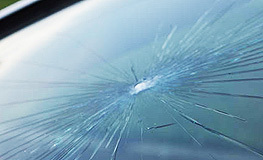 Do you have a cracked or broken auto glass that needs to be repaired or replaced? Just complete the form below for a cash quote or click on our Submit a Claim link if you are filing an insurance claim. You can also call us directly at (859) 241-3186 in Lexington or (270) 282-0088 in Bowling Green! Upon completing the form, we will contact you within the same (or next) business day. Please attempt to fill out each form item to the best of your ability. Triple Crown Auto Glass employs trained experts and uses only the highest quality in auto glass and windshields. Call us today at (859) 241-3186 or (270) 282-0088. Call us today and schedule for tomorrow! We will replace your windshield within the next business day in Lexington, KY and the surrounding areas. Call us and we'll contact your insurance company directly! If you have comprehensive coverage, there is no deductible or cost to you. I have a crack in my windshield. How can I stop it from spreading? Triple Crown Auto Glass is known for quality that lasts. We are proud to offer a Lifetime Warranty on all glass and repair work for as long as you own the vehicle! We come to you in a 70-mile radius around Bowling Green, including Warren, Allen, Barren, Hart, Simpson, Edmonson, Muhlenberg, Butler, Ohio and Logan counties. or call us: (859) 241-3186 in Lexington, (270) 282-0088 in Bowling Green. Triple Crown Auto Glass is locally owned and operated. Next-day mobile service available.